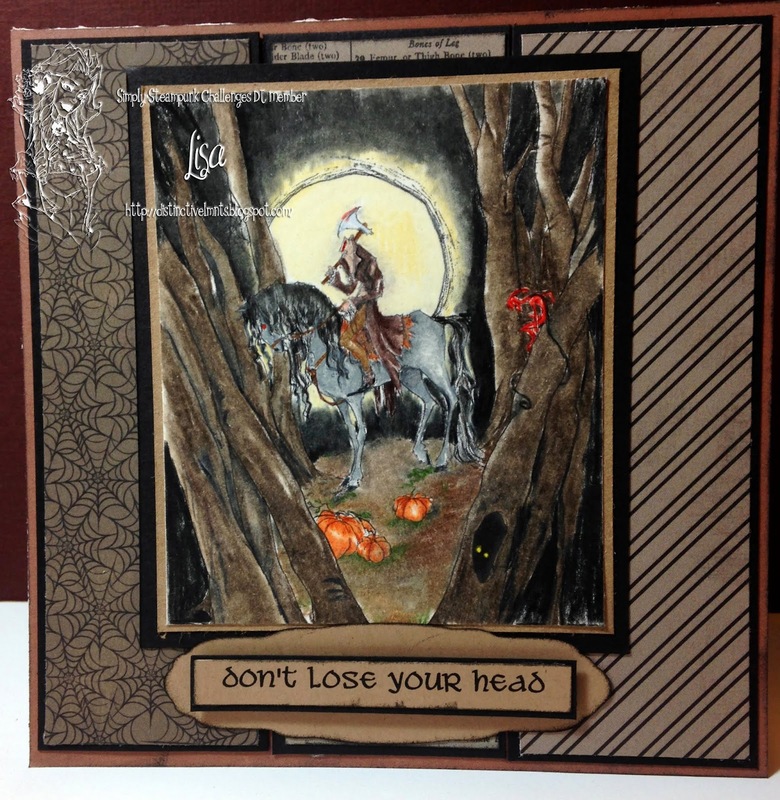 Distinctive LMNts: Don't lose your Head!! Hi everyone I am back at Simply Steampunk Challenges and we have a great new line of Steampunk images from the lovely Abigail Larson. You can find all the wonderful images at SBS. I was able to do the Headless horseman , creepy huh? But i used it in a very light humored way. See I told it was a humouress card. Love the designer paper you've used, fabulous colouring and a great sentiment too! Love it! Fab coloring and fantastic sentiment! I am just loving what you have done here it just gorgeous ! Green, green and more green! !